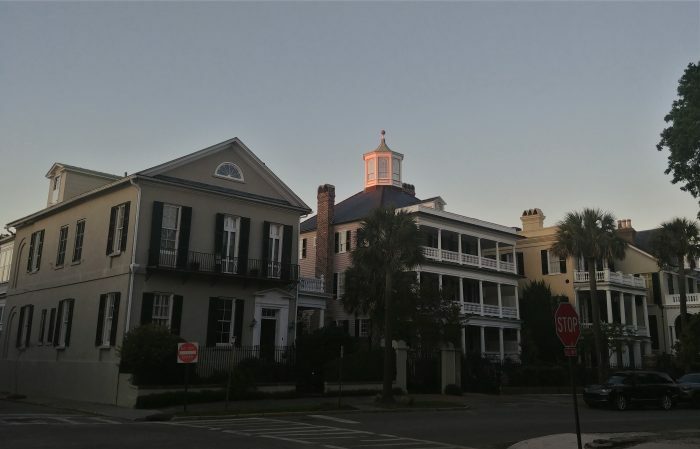 The final rays of the day’s sun touching the top of the Col. John Ashe house on South Battery. 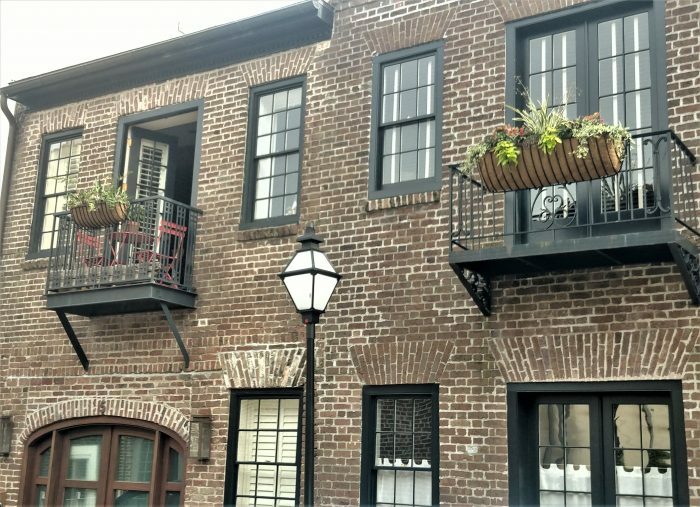 Located across the street from White Point Garden, this house has seen a lot — including the start of the Civil War and the hanging of pirates in the park. The Blake Tenement was built between 1760 and 1772. Once a free-standing structure, it is now part of the Charleston County Judicial Center complex. 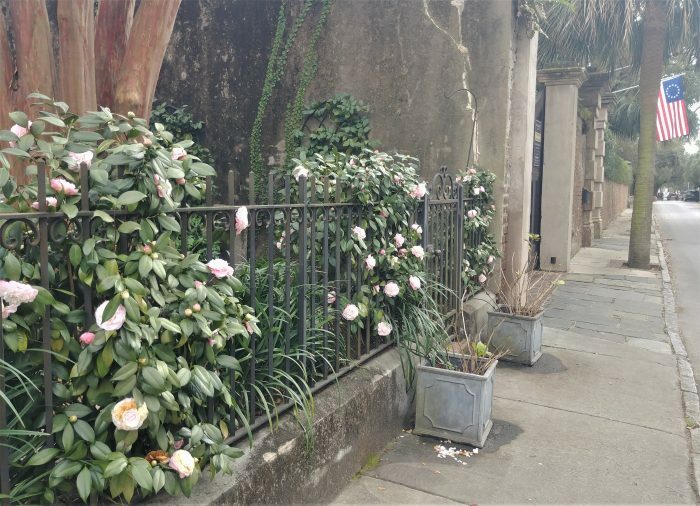 This pretty scene is on Cordes Street, near Waterfront Park. 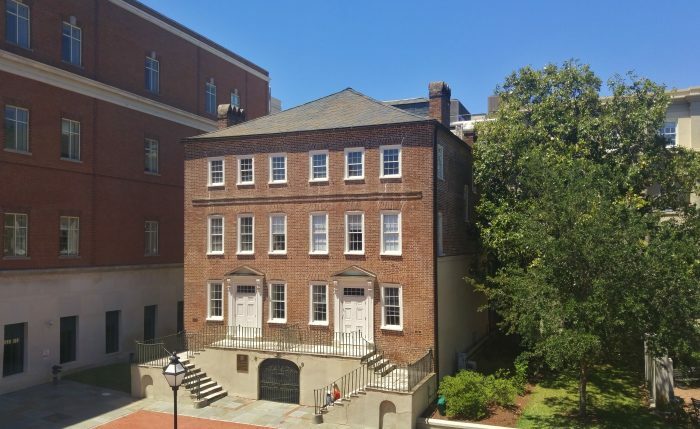 The area, which was once home to a number of wharfs, was developed between 1790 and 1800 — primarily by the wealthy merchant and wharf owner Samuel Prioleau (pronounced “pray-low”). This street was named after his wife’s family. 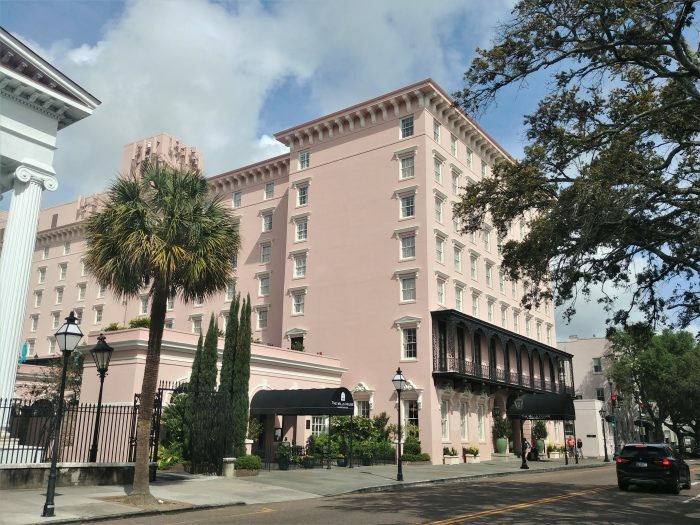 A glimpse down Legare Street, with the Sword Gate on the left. 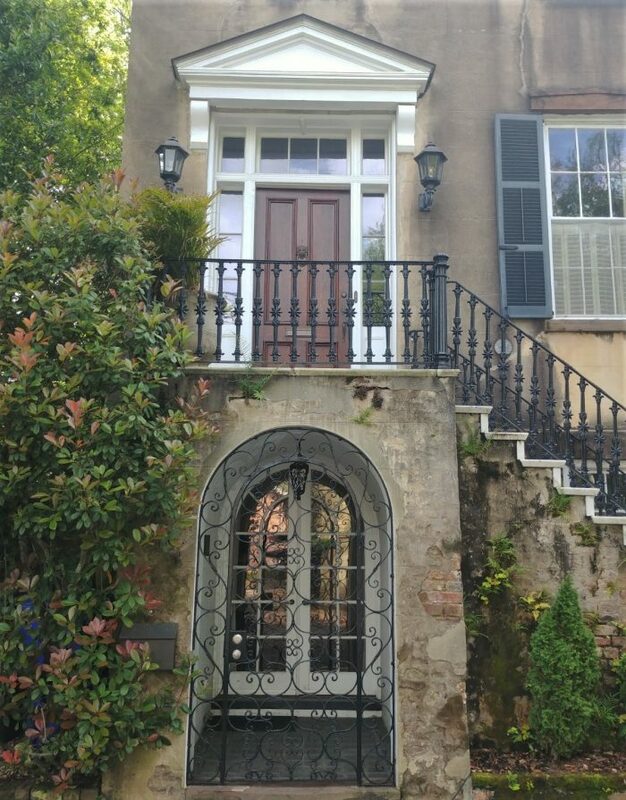 This beautiful set of doors can be found on a c. 1852 house on Logan Street, between Tradd and Broad Streets. As the only house on the block to survive the fire of 1861, it is the only antebellum house on the block. It later became the home of Susan Pringle Frost, the founder of the Preservation Society — among her many achievements. 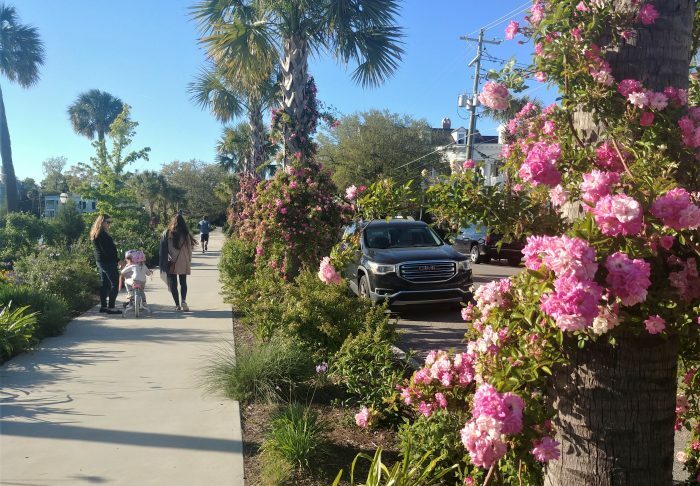 When the park around Colonial Lake (on the left) was renovated in 2016, a line of palmetto trees was added along Rutledge Avenue. Each has these wonderful flowering plants on their trunks — happy and beautiful. 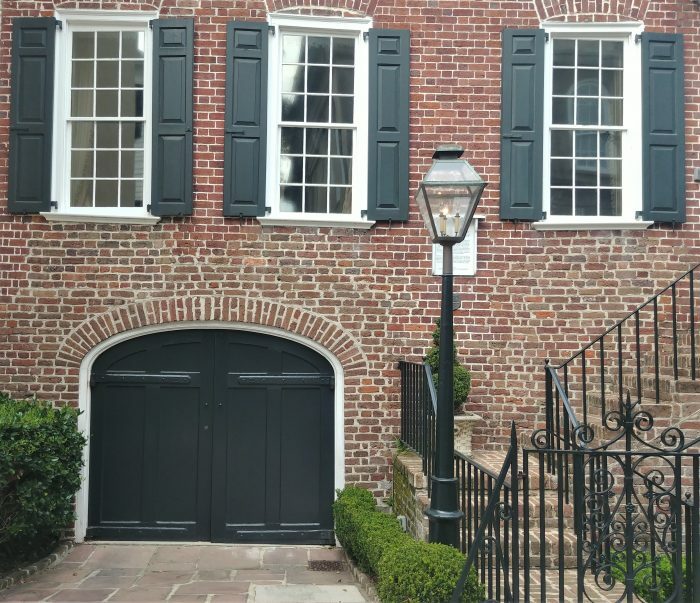 This beautiful house on Tradd Street was built c. 1765 as a double tenement, which required two sets of stairs. 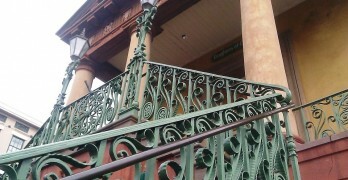 In the mid 19th century it was converted to a single family house, which eliminated the need for the second set of stairs. This cool live oak tree dominates the front yard on Murray Boulevard. 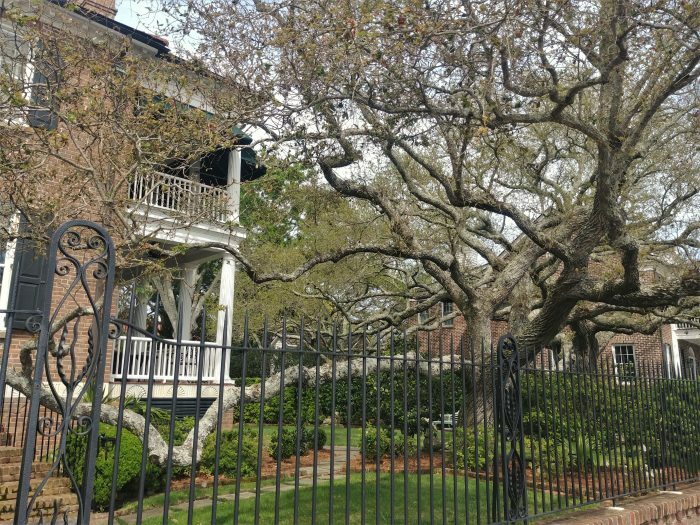 Live oaks definitely help give Charleston and the Lowcountry much of its character. Live oaks have also played an important role in American history. During the War of 1812 the USS Constitution gained its nickname “Old Ironsides” because the British cannonballs just bounced off its hull — which was made out of live oak wood. 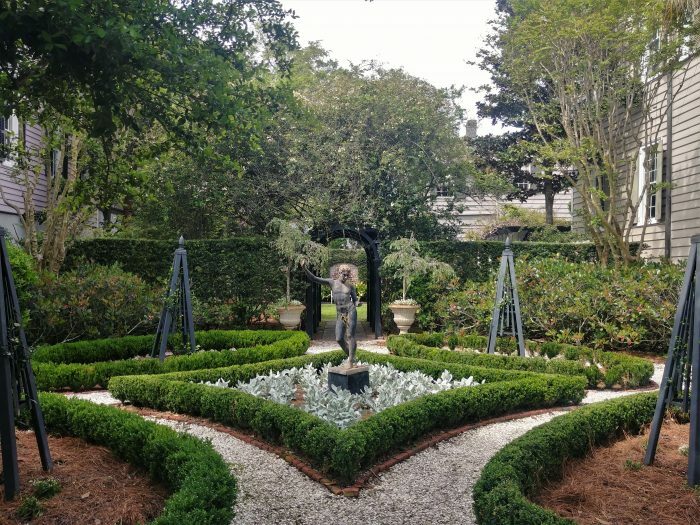 This eye-catching garden on South Battery belongs to a house that was built c. 1800 by John Blake, one of the early presidents of the Bank of South Carolina.